A nice level Good Friday walk to juxtapose Arenig Fawr six days previously. train station, from which we pass a fishing pond and join the western bank of the River Douglas heading north. 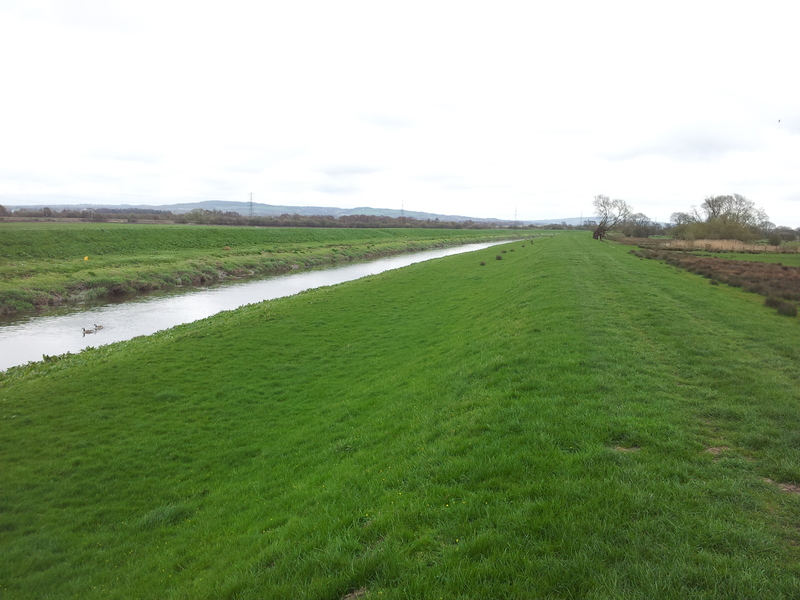 This is the Lancashire plain, and with nothing standing in the way, we feel the chill of a stiff breeze from over the Irish sea, that makes the going slightly less pleasant as we walk along a lush overgrown footpath until we reach Great Hanging Bridge on the A581. We cross the bridge and then continue up the eastern bank of the Douglas, until we reach the confluence with the Yarrow, where we head east along the southern bank. 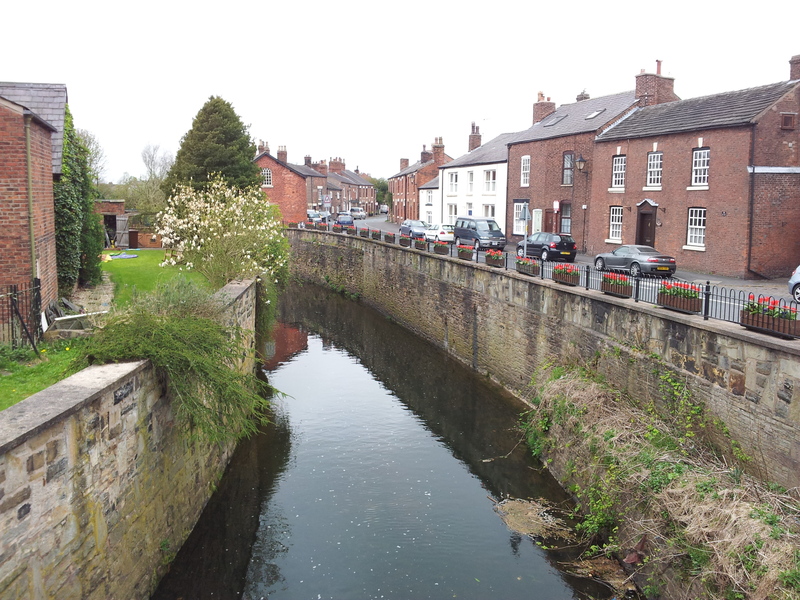 Shortly after we reacquaint ourselves with the A581, heading over another bridge, and into the outskirts of Croston. We wind through a couple of country lanes until we reach the area around St Michael & All Angels church with some beautiful old cottages and barn conversions, we momentarily head towards the village to see the Yarrow as it flows under the Packhorse Bridge. Retracing our steps for a few second we then head south along Carr Lane, stopping for a pot of lunch and to shelter from a brief, light shower. We travel through some woodland, and then turn westward on New Road, which after passing a curious barn conversion becomes an arrow straight farm track, we follow this for a mile pausing only to cross the Ormskirk to Preston train line. At a T-junction we are again within sight of the Douglas, we bear south and then west again, clambering through a freshly ploughed field to rejoin the river. It’s not long then to White Bridge and back to the car. 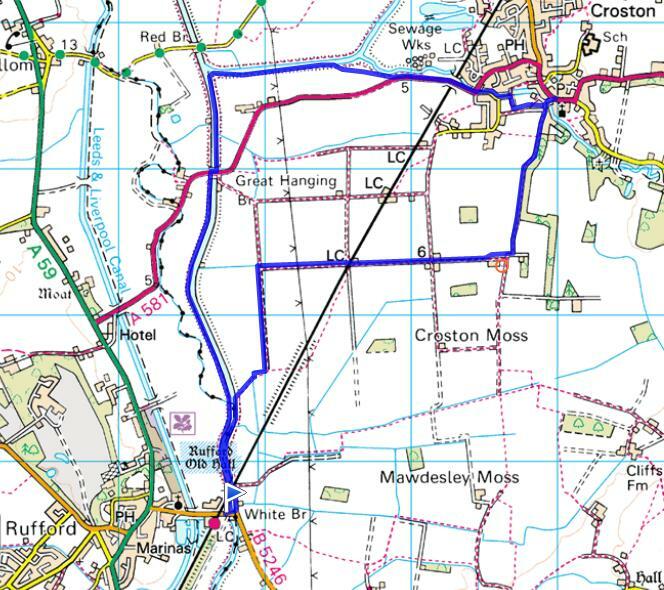 This wasn’t the most thrilling of walks, the entire walk takes place within a range of 2-8m above sea level; but Rufford and Croston are both attractive villages, and for me at least it’s interesting to explore an area so close to home that I’ve previously only ever driven around.